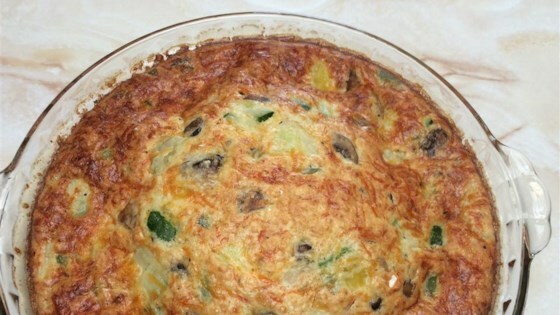 "Easy breakfast quiche. It is light, but filling and healthy too." Preheat oven to 400 degrees F (200 degrees C). Grease a 10-inch pie plate. Press spinach in an even, compact layer into the bottom of the prepared pie plate. Beat milk, ham, eggs, baking mix, onion, Cheddar cheese, and Monterey Jack cheese together in a bowl; pour over the spinach layer. Bake in preheated oven until quiche is set in the middle, 35 to 40 minutes. I didn't like this one. I think it was the "Bisquick". I added in asparagus with the ham and cheese and added some greek spice, very good. very easy also used fresh spinach cooked it down and drained off the liquid , worked. Quick and very easy to make. This from someone who can not boil water. It came out great! When making it again, I'll use much less milk. Mine stayed too wet in the middle. My spinach probably wasn't as dry as it should be. Taste is wonderful! Will definitely make it again. Awesome recipe! It's healthy, easy, and delicious!